As shown in the given Kinshasa location map that Kinshasa is located on the bank of Congo River in the western region of the country. Kinshasa is the largest and capital city of the Democratic Republic of the Congo. 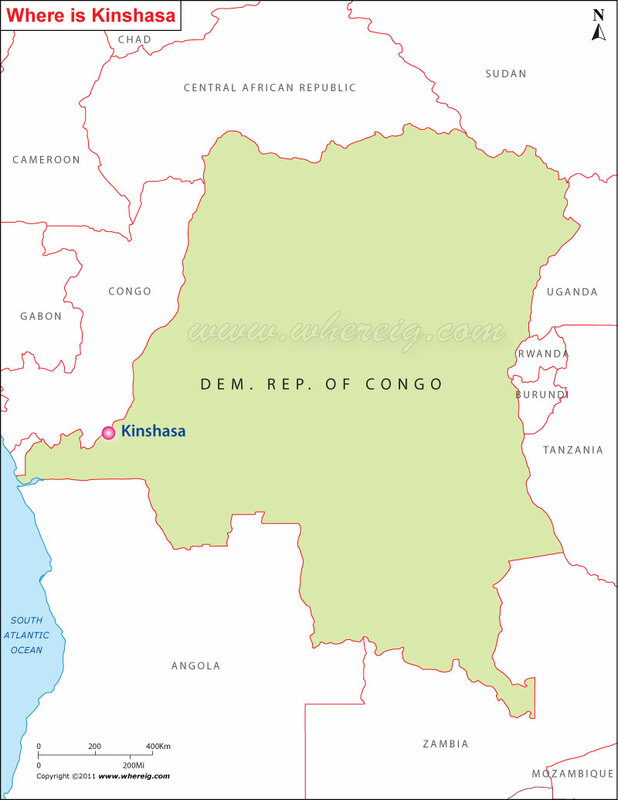 The inhabitants of Kinshasa are popularly known as Kinois in French and Kinshasans in English. Interestingly, the capital city (Republic of Cong) Brazzaville lies on the opposite side of Kinshasa (on the other side of Congo River). With the large urbanization and development, Kinshasa is the second largest city in sub-Saharan Africa. The language of the city is French; it is one of the largest French speaking cities of the world. The climate type of the city is tropical wet and dry.